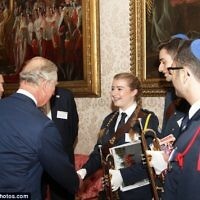 A group of young Jewish musicians were among those honoured with a trip to Buckingham Palace this week after scooping an award for their social action. 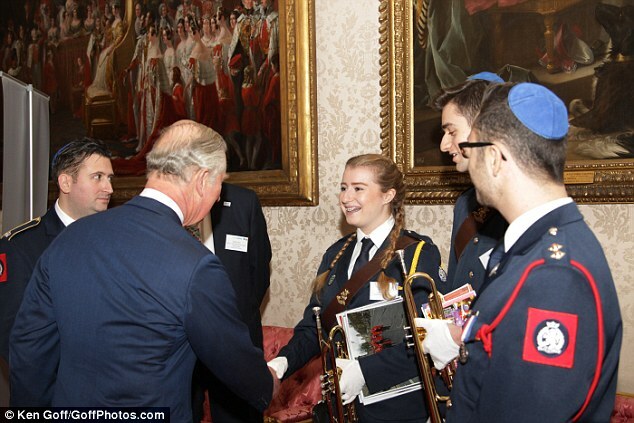 The Jewish Lads’ & Girls’ Brigade’s Redbridge Band were recognised by the Youth United Network alongside 10 other uniformed youth groups at a reception attended by the Prince of Wales. 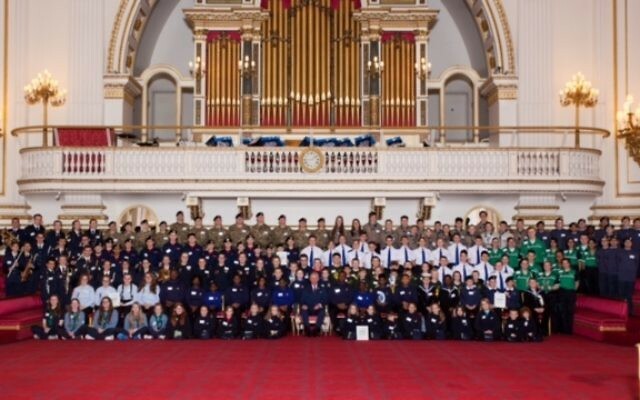 The band, which is based at King Solomon High School in Redbridge, has over generations helped create thousands of young musicians who perform at civic and community events across the country. 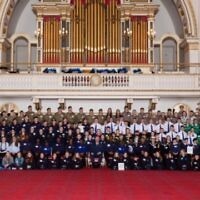 Its members are a regular feature at the annual AJEX parade honouring fallen soldiers and perform, like other JLGB groups, at local Remembrance Sunday parades. 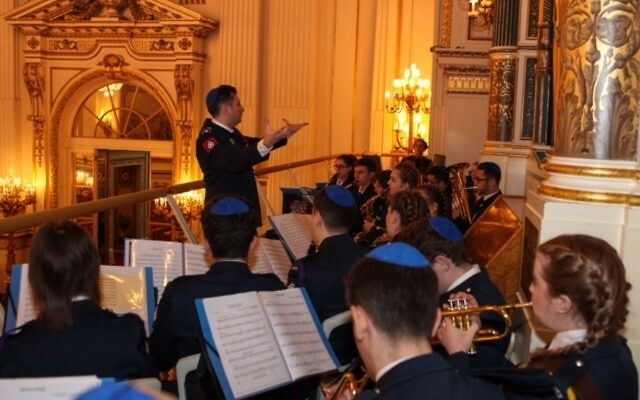 As the number of veterans taking part dwindles, they also serve as wheelchair pushers and Standard Bearers for local AJEX branches. 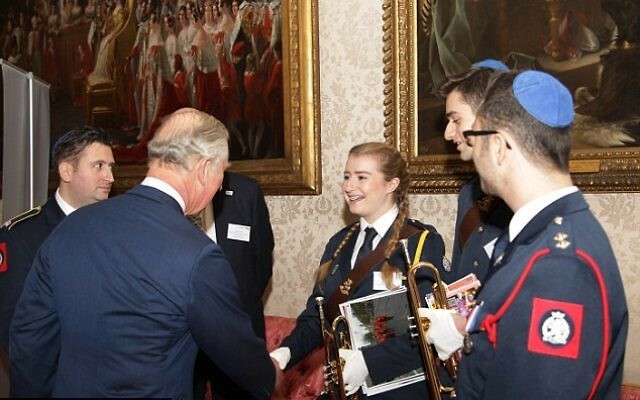 The band were given the additional honour of performing in the Throne Room at the reception – a moment volunteer leader Linda Diamond described as “the greatest honour” which will “no doubt live on in our memories for many years to come. 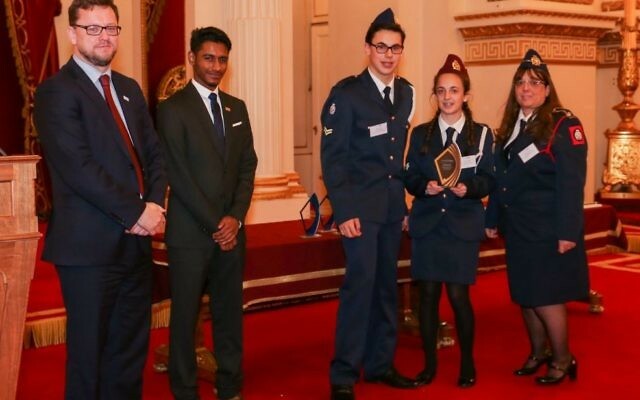 We accepted the award on behalf of all of the JLGB’s local groups across the UK who are tirelessly contributing to their local communities on a weekly basis”. 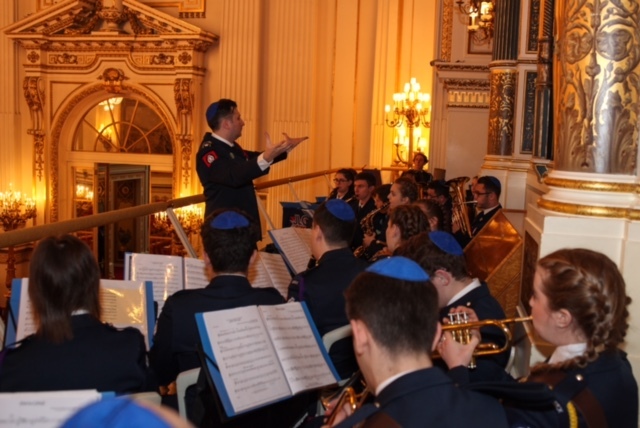 JLGB Chief Executive Neil Martin, who is also volunteer Musical Director at Redbridge Band and will return to the Palace this week to collect his OBE, said: “There are some places in the world where because of your faith, culture or beliefs you can’t even enter the country. 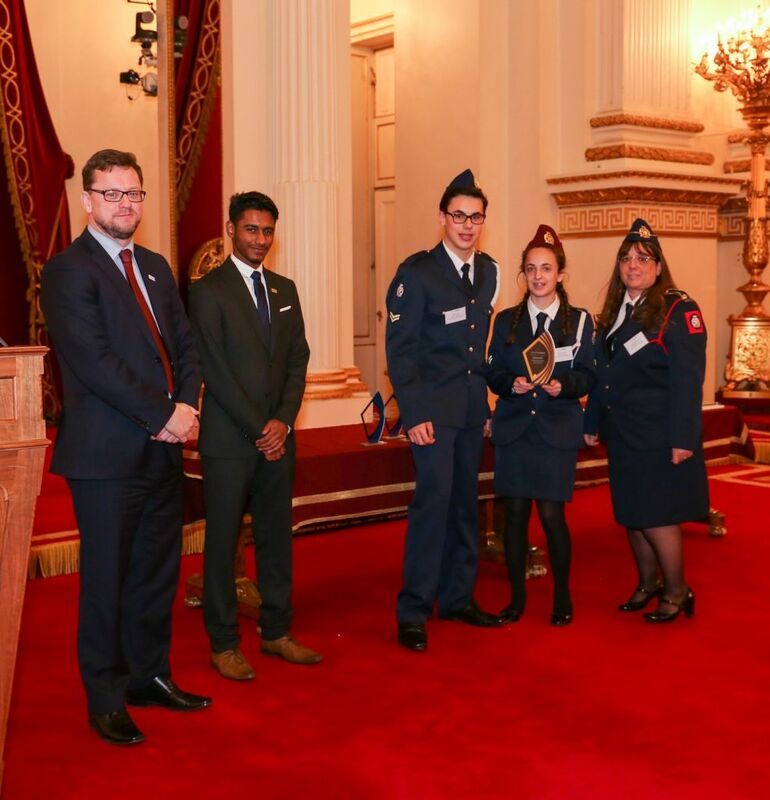 The Youth United Network was established in 2009, when His Royal Highness, The Prince of Wales thought uniformed youth organisations’ impact could be magnified if they worked together to give young people a strong start in life. 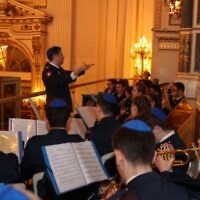 It has created close to 27,000 new places, far exceeding expectations. 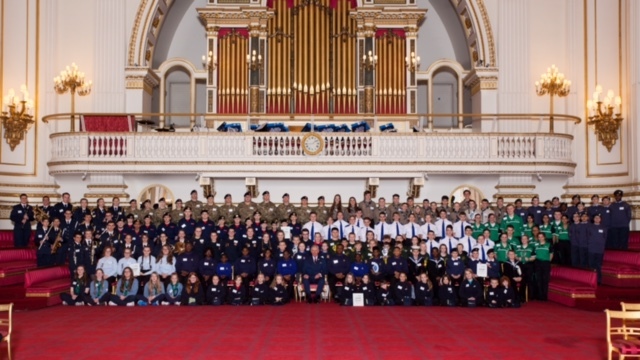 At the celebration, The Prince of Wales presented three special awards to Newham Cornwell VC Sea Cadets and Girlguiding’s 206thLiverpool Senior Section for Teamwork; The Girls’ Brigade England & Wales 1st Huncote n:vestigate for Dedication; Tyne and Wear Fire and Rescue Service Fire Cadets for Impact.